Greetings from YFL!!! This is BONUS WEEK, as we conclude October, and begin November!!! For this reason, we will delay weight week until next week, and practice Sukha (Yin) and Stirha (Yang) this week. It will be a blended practice that unifies the energetic forces of cool/warm, feminine/masculine, and powerful/graceful!! Our Sanskrit focus will be ‘Bhakti’, or your path of devotion, and what that means to you individually!!! Our hand gesture focus is the ‘Priority Mudra’, and will help us set priorities, while reducing stress, steadying our nerves, and giving us inner strength. Our weekly meditation focus is “Balance”, and may be contemplated, while listening to Enya’s “Watermark”. ATTENTION: Sophie’s 6 p.m. class will NOT meet the evening of Halloween, 10/31!!! Deb’s morning classes will be held that day!!! There is still time to register for Meditation I, which will meet from 7:30-8:30 p.m., 11/6-12/4, each Tuesday evening for 5-weeks. The fee is $70. Reiki I will be held with Kim on 11/11 from 10 a.m.-4 p.m. Registration is open. The next Sangha (community) meditation practice will be on 11/15 from 7:30 to 8:00 p.m., and it is FREE!!! Our 200-hour Teacher Training programs is scheduled to begin on 1/9/19. Registration is currently open, and the deadline is 12/9!!! Register soon!!! On December 8th, Betty & Peter, will be hosting there second Tibetan Bowl Healing Sound Concert from 1-3 p.m. Only a few spots remain open, and the fee is $25!!! The November newsletter will appear on your email desk at 10 a.m. on 11/1. If you would like to receive our YFL happenings send Deb an email request: yogaforlife06@verizon.net. This entry was posted in Uncategorized on October 28, 2018 by Deb Potts. Greetings from YFL!!! Thanks to all that participated in celebrating our 12th anniversary of business last week!!! What fun we had!!! Now to embark upon our 13th year of practice!!! 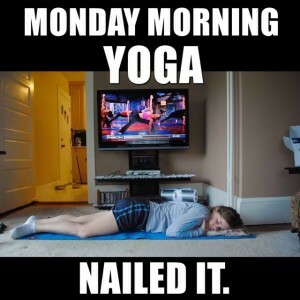 This week we hone in on flow with power, or Classic Hatha!!! Our Sanskrit focus is “LILA”, or Divine Playfulness. The mudra is the “VAYU”, or wind hand gesture, which evokes positive, benevolent, and affirmative thoughts. It also improves sciatica and rheumatoid arthritis. Our weekly meditation focus is “To Be Positive”!!! The music for meditation is from Sedona Suites by Tom Barabas, and I chose “Moon Dust”. This week’s Yin practice will focus on holding poses that promote “Good Digestion”. A reminder that this class is available on Tu/Th from 4:15-5:15 p.m., and Saturday from 8:15-9:15 a.m. This class is appropriate for ALL LEVELS!!! Registration is OPEN for the 2019 Artistry of Yoga 200-hour Teacher Training program through December 9th. A full description of this training program is on our website. Simply hit the AOY icon, and all the details will be revealed. 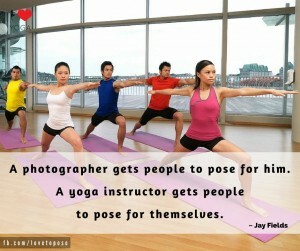 www.yogaforlife06.com. We have just a few remaining slots open for the 12/8 Tibetan Healing Sound Concert. It is 1-3 p.m., and the cost is $25. The next Meditation I session will begin on November 6th, and extend to December 4th. We will meet for 5 consecutive Tuesday evenings. The cost is $70, and pre-registration + payment are required prior to 11/6. A reminder that you do not need a Facebook account to follow YFL on this social media site. Just click on the yellow flag at our website, and my daily inspirational posts will be available. You may do the same thing for my weekly blog with the blog icon. This entry was posted in Uncategorized on October 22, 2018 by Deb Potts. Resist the Wall & Happy 12th Anniversary YFL!!! Wow, Wow, and Wow!!! Where have 12 years gone?!!! The answer is…”ON THE MAT”, with wonderful times, people, adventures, yoga, kirtan, and meditation!!! I would like to extend my utmost gratitude and thanks to all of you for making this anniversary celebration possible. It is your support and attendance throughout the years that has made it possible!!! We never take your attendance for granted, and are humbled!!! Twelve years is a most auspicious number to celebrate!!! All week Deb will be offering treats (Rooibos Chai Tea & Dark Chocolate covered almonds w/sea salt)…no tricks, and drawings for door prizes!!! Come join the fun!!! This week’a practice finds us back at the The Wall for resistance, focus, and alignment!!! Our Sanskrit focus is “DHANYA VAD”, or a big thank you for 12 years of service and teaching to the Temecula Valley!!! Our hand gesture (mudra) is for “Thankfulness”, and acknowledging what is good!!! It also promotes healthy lungs, and a strong immune system!!! The Yin practice will help you balance your Chakra system, and will include the sounding of the Tibetan Bowls!!! Our meditation focus is “Gratitude”, and may be contemplated upon while listening to Kiran Murti’s “Sweet Dreams”. There are just a few spots left for the “Tibetan Bowl Sound Healing Concert”!!! Sign up ASAP!!! The date is 12/8, the time is 1-3 p.m., and the cost is $25!!! 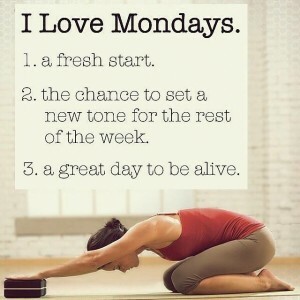 It will be another fabulous week at YFL, and as always we can’t wait to see you on the mat!! !—Namaste’, and Dhanya Vad, Deb!!! This entry was posted in Uncategorized on October 15, 2018 by Deb Potts. The Three “Rs” of Yoga: Restore, Renew, and Relax!!! Greetings from YFL!!! It is time to practice our 3 “Rs”!!! Let’s restore, renew, and relax this week on the mat!!! Our practice will emphasize stretching deeply with breath and props at the forefront!!! Our Sanskrit focus is “Aham Prema”, or “The flowing energy of love” to promote gratitude and grace. Our hand gesture or mudra is the “Naga” or “Decision” gesture for “choosing well”. This week’s Yin practice will focus on hip opening, or “Happy Hips Week”!!! Don’t miss next week at YFL!!! We will be celebrating our 12th Anniversary!!! There will be door prizes, treats, hot tea, and a great yoga practice all week!!! Don’t miss this fun celebration!!! Yoga For Life will BE CLOSED on 11/22-11/25 in observance of the Thanksgiving Holiday!!! The Tibetan Bowl Healing Concert will be on 12/8 @ 1-3 p.m. The cost is $25, and we just have a few spots left, so sign up ASAP!!! 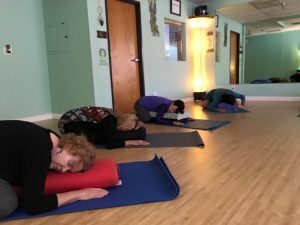 The 2019 200-hour Teacher Training program is open for enrollment!!! We will meet each Wednesday and Saturday (6-10 p.m. & 9:30 a.m.-1:30 p.m., respectively) for 20 weeks, excluding holidays. The training begins on 1/9 and ends on 5/25. Check for the details on our website at the AOY icon. This entry was posted in Uncategorized on October 8, 2018 by Deb Potts. Time to “Weigh In”: Yes, it is weight week!!! Greetings from YFL!!! Happy October!!! The beginning of the Fall Season, The Harvest Moon, Halloween, and celebrating YFL’s 12th anniversary!!! What a fun month we have ahead of us!!! Check your October YFL newsletter for all the details!!! It will appear on your email desk at 10 a.m. today!!! This week we focus on building strength and stamina, toning and sculpting!!! We emphasize bearing our own body weight, and you may also opt to use hand weights for a portion of the practice. Our Sanskrit focus is Ravi Hum. This mantra recognizes the radiance and spirit of the sun’s energy. Our mudra (hand gesture) will be the “Matangi”. This mudra promotes harmony, balance, and strength. It also maintains healthy internal organs, ears and eyes. This week’s Yin practice will strengthen, support, and maintain a “healthy back”!!! Our meditation focus will be “Harmony”. The music selection for supporting your time in meditation is from Michael Hoppe’s Wind Songs CD, and the piece is entitled “Silence”. Come join our week long celebration of YFL’s 12th anniversary, 10/15-10/20!!! We will have door prizes, and treats!!! No tricks!!! This entry was posted in Uncategorized on October 1, 2018 by Deb Potts.